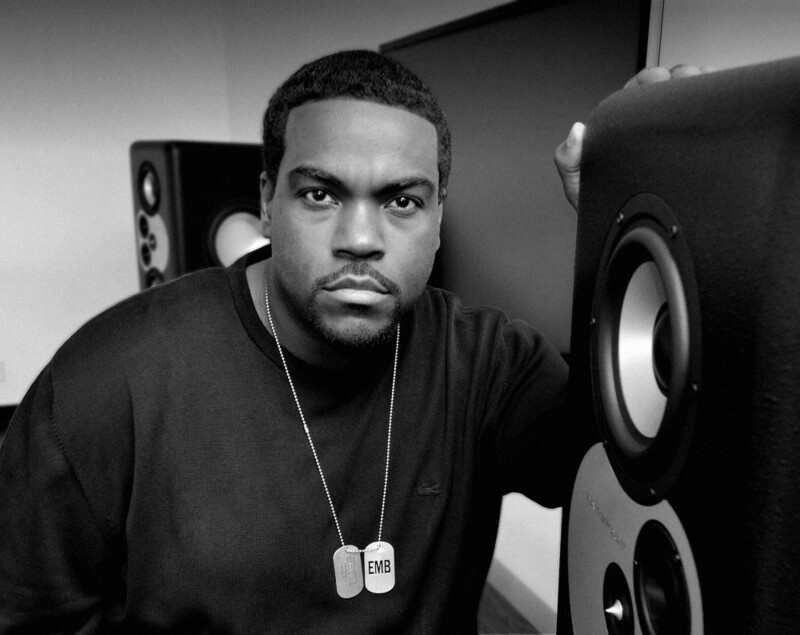 Pictured in his Capitol Records Tower studio with the Barefoot MM12 monitors is producer Rodney Jerkins. Photo by David Goggin. Congratulations! “Stay With Me (Darkchild Version),” Sam Smith, won for Record of the Year and Song of the Year in the 57th annual Grammy’s. Rodney “Darkchild” Jerkins’s version utilized Barefoot Sound MM12 monitors through all production phases of the recording. Smith also picked up the Grammy awards for Best New Artist and Best Pop Vocal Album. Rodney “Darkchild” Jerkins is a highly prolific record producer, songwriter and musician. Regarded as one of the most commercially successful producers in the history of music, he has collaborated with a very broad range of popular artists, including Michael Jackson, Beyoncé, Mary J. Blige, Mariah Carey, Whitney Houston, Rihanna, Luther Vandross, Jennifer Lopez, Janet Jackson, Toni Braxton, Destiny’s Child, Lady Gaga and Britney Spears. Jerkins is responsible for over 160 million record sales worldwide and the winner of four Grammy Awards. Among his most notable productions are “You Rock My World” for Michael Jackson, “It’s Not Right but It’s Okay” for Whitney Houston, “Say My Name” for Destiny’s Child, “If You Had My Love” for Jennifer Lopez, “Déjà Vu” for Beyoncé, “He Wasn’t Man Enough” for Toni Braxton and “Telephone” for Lady Gaga. Barefoot: First, tell us about what you’ve been working on lately. Of course, you’ve had recent success all over the world with Michael Jackson. Jerkins: Yes, the Michael Jackson album — I produced the title track called “Xscape”. It was really fun. I worked with Michael back in the 90s and started on that song in 1999, believe it or not. It’s one of those treasures that sat in the vault and I felt like it was time. Fifteen years passed by, and the world needed to hear it. His fans needed to hear it. On the album, you get both versions. You get the original, and you get the newest version that I re-produced and remixed to bring it up-to-date. It was a lot of fun and I did that track using my big MiniMain12 Barefoot monitors. I only use Barefoots now when making music. It’s funny, because during my career it’s always been known that when you walked into the studio my previous speakers would be playing real loud. Since I got my Barefoots I have stopped utilizing any other speakers. I was looking for the perfect monitor. A number of monitor manufacturers came to my studio and did showcases of their new speakers. Then Barefoot came and did a showcase and I was immediately sold. I’m on my second pair of Barefoots now. I’ve got them in my home studio and I’ve got them here in my office in the Capitol Records tower. I’ve got the big ones, the MM12s, and I plan on getting a third pair for another studio I’m building right now. I find that the Barefoots are the truest for me. When I do my music, I want to hear it back the same everywhere I go. You see, I’m very picky about the way I hear my music. Now that I’m working with my Barefoots, I just feel others speakers might be too bright, or the midrange isn’t right, or they don’t have the bottom end that I need. With Barefoot, it’s smooth top-in, perfectly clean. When newcomers hear the music playing through the Barefoots they ask me, “What are those? I need those.” I love the response that comes out of the music that’s being played. You hear the detail and the true definition of every sound. That’s so important to me, especially when I’m creating. It’s one thing, when you listen to the mix of a record and you want it to be perfect. Even when you’re creating it, you want to hear it a certain kind of way. Barefoot: I was going to ask about that. As you’re starting off with a new project, with a new track, you’re doing it with the Barefoot monitors? Jerkins: Yes, I do it all my work now on Barefoots. It’s funny because I feel like it’s hard for me to even listen to my music in other speakers now. In my studio, I have many different speakers built into the walls. I’ve got big old speakers, I’ve got small Auratones, but now I just stay with my Barefoots. My wife is one of my biggest critics. I call her my A&R, because she carefully listens to every track I make. She doesn’t want to hear my music any other way but through the Barefoots. Jerkins: Yeah, that distinct — it really is. It’s really been amazing, especially now, because I have my own label now: Evolve Music, distributed through Capitol Records. Now I’m responsible not just for the records I’m producing for other artists, but for many other projects I’m overseeing. For example, I’m the executive producer of Mary J. Blige’s new album. Jerkins: Different producers. It’s called the London Sessions, because It’s being done in London. There’s Naughty Boy, and Disclosure, Emili Sande, Sam Smith, all the top London writers and producers are working on this project, a phenomenal project. Executive producing is another hat I’m wearing these days. For me, again it all goes back to hearing the sound correctly, and knowing that the mix is perfect, and that the songs feel or sound right. If it doesn’t translate on my Barefoots it’s probably not going to translate anywhere else. Barefoot: Do the Barefoots help you when you’re trying to get the best performance out of an artist you’re working with? Jerkins: Absolutely. You know me, I’m so picky about the way that a song is sung. I want to hear every vowel. I want to hear the individual syllables. When I’m listening to a record, I’m listening to detail. I’m listening to everything. I want to know that the vibrato is just right on the word ‘you’. But with Barefoots, it’s loud but it’s not overpowering you. It’s not overpowering the room. You can still speak. Everything is tuned so perfectly that I don’t feel like I’ll need earplugs, or that I’m going to go deaf listening to some of the music in here. Like I said, my wife listens to my work through the Barefoots. It’s become my favorite monitor for listening to my music. And I have the big boys, the MM12s. I love them, but I treat them well. I treat them with respect. They’re my best friends. I’ve been in this music business for 19 years now. If you want to have longevity, you have to protect your ears. How you hear music, and how you make music and listen to music is the most important part of this whole experience. For me, there is no other way now. It’s only up to Barefoot to top themselves for me. Barefoot: How would you explain the sound of Barefoot to a stranger who was new to the game? Jerkins: I would ask a stranger, if you want to watch your favorite movie, how would you want to watch that movie? Would you want to watch it at home with the TV set, or would you want to go to the best movie theatre in town and listen to that big movie sound at its best? Do you really want to hear the bottom end, what the rumble is supposed to be like, what the explosions are really supposed to sound like? How would you want to hear it? I think 99 percent of people would say I want to go to the best theatre in town. That’s what having a pair of Barefoots is for me. It’s like having the best theatre sound right here. I’m hearing everything the way it should be heard. I watch movies with my Barefoots. I watch games with my Barefoots — I watched the NBA finals in my office through the Barefoots. I just love the sound that comes out of them. It’s real. It’s intense. It’s amazing to be able to have an experience like this. Listening to music should be an experience. The music being made is part of the experience that you get, the emotional feeling when you hear certain songs. You should also have an experience with the sound and the definition of sound, and know that each part of a song has an element that’s being expressed correctly. The right speaker is what gives you that. That’s what Barefoot is.